Each year, single hospitals with a good bottom line can still stand to lose 1-2 percent of net revenue, totaling roughly $10-12 million, or more, of avoidable losses. And while these losses are staggering, they could be even higher for organizations that have multiple hospitals or are not in good financial shape. What could potentially cause your organization to lose net revenue each year? The answer is weaknesses in your revenue flow. Somewhere along the line something’s broken, and these root cause issues are preventing you from receiving correct payments for the life-saving services you provide. Often, the right information is not even getting into the pipeline to support a correct billing, making it difficult for you to know what’s being lost. Several CFOs have explained to us over the years that when it comes to their revenue flow, they don’t know what they don’t know. And they feel it is their fiduciary responsibility to have someone look under the hood to see what can be found and corrected for the future. While it’s no small feat to diagnose and solve complex issues within your revenue flow, it is possible. I’ve worked with healthcare organizations for more than 25 years to significantly help reduce avoidable losses and achieve increased, sustainable, and measurable net revenue improvements. Over these years, I’ve observed and learned a lot. One of the most valuable takeaways I’ve come to hold true is that as important as the additional dollars can be to your organization, it’s not just about increasing net revenue. It’s also about the approach you take to realizing these dollars. There’s a lot to consider – how collaboration occurs, the way stakeholders are brought into the mix, what’s being communicated, how change is led – and above all, always thinking about the impact on the patient. Because the patient is the real reason we do all this work. By adding more value to your organization, you’ll be in a better position to serve the needs of your surrounding community. And from my revenue improvement experience, I know that there is not one hospital where we cannot find leakage of net revenue that would significantly help its bottom-line. We have proven effective in helping these hospitals implement efficiencies and measure the increase coming in. But we will not get the opportunity to add $10-20 million to your annual net revenue, without first having your trust. Our focus has been and will always be on earning that trust. While it’s important to be able to come in and identify opportunities to drive revenue and streamline efficiencies, it’s even more important to know how to effectively partner with you and your teams to deliver sustained revenue improvements for the longer term. If it’s not done in the right way, the work won’t be embraced by your teams or sustained in future years. That’s why, at Nordic, our whole philosophy for revenue cycle transformation (RCT), is based on trust and doing what’s right. If you don’t know us, we must first establish that trust. Once we establish trust, our methods, approach, and years of experience will help move the needle for your organization. The project focus will be tailored to meet your organization’s specific needs and what’s most helpful for you. We follow five key principles for every revenue improvement project we take on. And by applying these guiding principles, we not only earn the trust of you, our client partner; we also help you reach your revenue goals. Read on to learn what you can expect from partnering with our RCT team. 1. A holistic approach is the right approach, always. We strive to deliver the most accurate solution from the beginning so that once we help you with a specific area, you won’t need help in this same area again. To deliver the best solution for you from the get-go, we conduct a holistic and detailed diagnostic prior to every project implementation. By considering each of these three areas, we’ve become very good at identifying the dollar amount that can be realized for your organization. Here’s a deeper look at each component of our holistic approach. Rather than looking at the problem in a vacuum, we use detailed analytics to get a clearer picture of the root cause of your revenue issues. We take all the variables of your revenue flow into consideration – the physician, the patient, finance, regulations, and technology, to name a few. Since organizations typically don’t have reports with the amount of detail we need for this analysis, we gather raw data from various detail and transaction files and perform separate analytics. From this deep dive of your data, we can identify potential disconnects, trends, missing information, and more. We then use this information to target areas where we can obtain more focused details from interviews with key stakeholders and observations of main processes. This will help us begin to identify potential areas of revenue opportunity. While data analysis provides us with good information to start targeting areas of revenue improvement, it’s only one part of our holistic approach to finding the right solutions for your organization. We also meet with your key stakeholders in specific operational or clinical areas to learn more about their daily roles, use of the technology, and potential challenges they’re experiencing. These stakeholders may be departmental leaders, as well as team members who conduct day-to-day work in the system or in connection with process flows and the patient. Insights from these individuals are extremely valuable because they often provide us with information we may not be able to derive from our deep dive of your data alone. This feedback and discussion will help us better understand the challenges these stakeholders experience and further inform our overall project recommendations. Additionally, we observe key processes to gather information related to workflows, use of the system, and ease of operation. The third piece of our holistic assessment is reviewing a sample of medical charts and accounts in key service areas identified through the data deep dive and interviews/observations. We note opportunities that may be observed in documentation and flow of information from charging to billing to collections. We also review payer contract terms to understand what the net value for improvements would be for your organization. After conducting this holistic review, we identify the annual net revenue opportunity that’s available to add to your organization. We’ve been doing this work for many years and can say we have never missed our numbers. If we tell you that you have $12-15 million net revenue that can be added to your organization, you can be comfortable that we will help you implement at least $12 million. You should be able to see this revenue and measure it during the project period. Our implementation approach is also holistic in that we consider all areas of your organization’s opportunity for improvement – technology, people, and process. This, done well, gives you the best outcomes. For example, we sometimes see organizations fix one area of their revenue cycle, only to find that “the fix” negatively impacted another area. That’s why we do our due diligence on the front-end during the holistic review process, so that any changes made during implementation are effective and incorporate multiple areas for sustained, value-added improvements. 2. Knowledge is power, and training empowers. Change can be hard. We understand that the enhancements we’re recommending as part of the revenue improvement process may be new to your organization’s leadership, key stakeholders, and other team members. That’s why we help guide, coach, or mentor these individuals throughout the project implementation. We’ll train your team on the new processes and workflows, answering any questions they may have about these changes. This allows your team to have a better understanding of what’s changing, why it’s changing, and how it will impact their daily job functions. Training also helps these team members feel more empowered and engaged throughout the implementation process. Therefore, they tend to be more satisfied with the end-result. Knowledge-transfer is vital to the revenue enhancement process. It helps ensure that your organization will experience sustained results from your revenue improvement project. That way, you won’t need to focus on those areas of your revenue cycle for quite some time. Over the years, our client partners have expressed that mentorship and training made a world of difference for their organizations. One CFO even shared with us that he found this to be the most valuable area of his organization’s revenue improvement project. He explained to me, "There are a lot of firms out there that can do this work. But what I liked is how you related to our people … how you coached and how you helped us grow." This particular CFO had received and measured more than $24 million in benefit from the project we did for him. Training and knowledge-transfer play an important role in establishing trust in the changes we’re recommending, but also help your team members feel more confident in process changes or enhancements to their workflows. This boost in confidence will make them feel more empowered, which goes a long way in building trust. 3. Listen with the intent to understand. Over the course of 25+ years of consulting in the revenue space, I’ve learned that people often listen with the intent to reply, rather than listening with the intent to understand. However, in our work, it’s vital that we listen to understand. This is a principle I try to instill in all my team members. Listen, which is one of our 11 Nordic maxims, not only helps us deepen our relationships with you, our client partners, it also helps us learn what’s most important to your organization. Since no two organizations are alike, we need to have a deep understanding of exactly where your organization is coming from to solve your complex and unique revenue challenges. With that, you can expect us to ask a lot of questions throughout our project engagement. But when we ask these questions, we are listening to understand. With that understanding we will be better equipped to deliver the very best results for your specific organization. We’ll be better positioned to pinpoint areas of focus that align with a best-fit solution, and ultimately help you reach, or exceed, your revenue goals. 4. We offer recommendations, not approvals. Some healthcare leaders may have reservations about seeking out a consulting firm for their revenue improvement project because they’ve worked with firms in the past that didn’t let them have a say in the process. Or, these firms may not have delivered what they said they would. These are very valid concerns. Our belief is that to achieve success, organizational leaders should have a final say on everything. 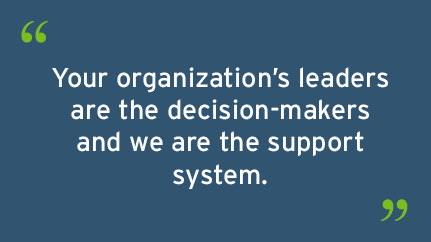 Your organization’s leaders are the decision-makers and we are the support system. Or, as we like to say, we’re your extra arms and legs. We provide a holistic recommendation and help execute the implementation. But ultimately, your leadership team is responsible for approving every aspect of your project’s scope of work. We are there to bring our years of experience and expertise, to guide and help do the work. But everything will be done within the framework that works best for your leadership team, and in a very structured and collaborative way to achieve the right outcomes. This framework is also a key pillar of establishing trust among all parties. We’re there to help effect change and to support the values and mission of your organization as we deliver a successful project with measurable results. 5. A promise made is a promise kept. Last but certainly not least, we build trust by simply keeping our promises. After conducting a holistic review of your organization’s opportunity for revenue improvement, we’ll identify a dollar amount of what you can expect to add to your bottom line – generally, millions of dollars. And as a strategic partner, we help ensure you can see and measure these dollars. Our success is tied to your success in realizing the dollars we’ve estimated for you. We understand that it’s hard to place trust in an outside organization to identify and resolve your complex revenue challenges. There’s a lot at stake. But that’s why we strive to establish that trust – not only by what we do, but how we do it. By following the five trust-building principles above, we’ve helped organizations bring in hundreds of millions of dollars of additional annual net revenue. And, most importantly, we’ve put them in a better position to serve the needs of their communities now and well into the future. Please let me know if you’re interested in learning more about our approach to revenue cycle improvement. Schedule a meeting and we can discuss how best to meet your organization’s unique revenue challenges. Perhaps now is the right time to answer the question: How much additional net revenue might you add to your organization this year? 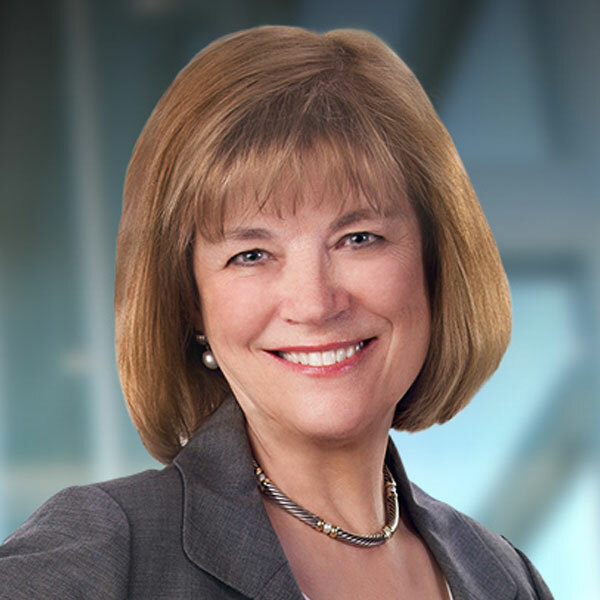 Cathy Smith is the practice leader and managing director of Nordic's revenue cycle transformation practice. She served as managing director of The Claro Group's revenue cycle transformation practice (now part of Nordic) since 2011. With over 25 years of healthcare experience, Cathy is a nationally-recognized expert in the areas of healthcare operational and financial management, patient financial services, and information technology.